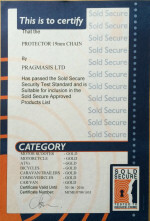 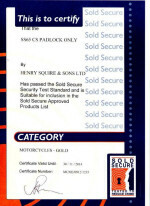 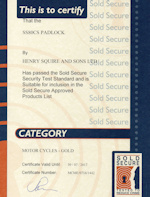 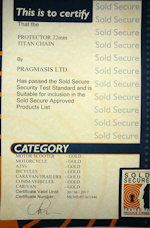 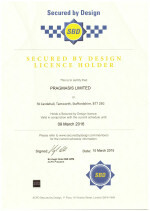 This page shows the test certificates from Sold Secure and from Secured-by-Design for products in our range. 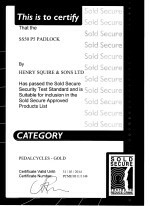 Click on a thumbnail image to open a new window for an Adobe Acrobat (.PDF) version of the same certificate that you can print if you wish. Note: Acrobat Reader required!